Jill’s Hope was founded by Jill Heckman and her family and friends. Jill was diagnosed with Stage 3 Triple Negative breast cancer in her left breast and Stage 2 Her-2 positive breast cancer in right breast in June 2014. 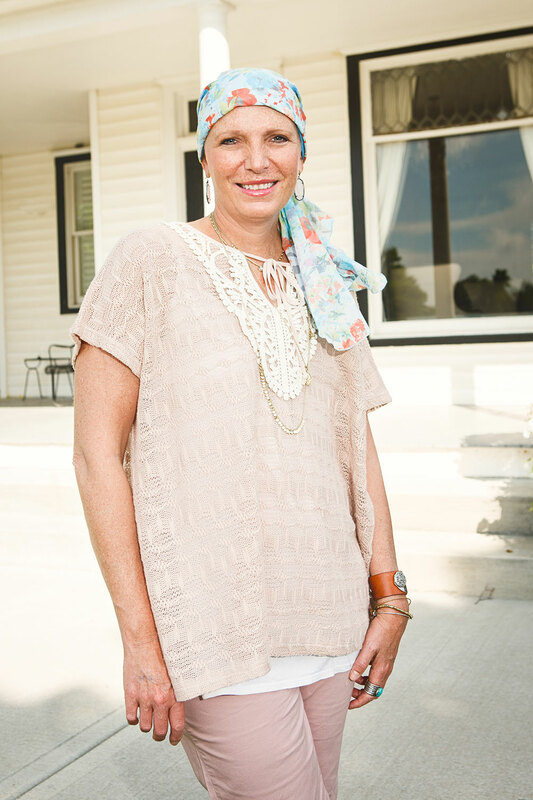 Throughout her battle with cancer, she learned the power of a strong support system and positive mindset. As a former college athlete and coach she knew the importance of mental toughness and positive attitude during any type of competition. Jill passed away on August 24th, 2017, but her legacy lives on. Jill’s Hope is a 5o1c3 organization. Our goal is to support others going through a cancer diagnosis of any type. This includes the fighter/survivor and their caregivers. Want to know about our Founder? Jill was given a coaching exercise to write what she would want people to remember about her and what she stood for. This is what she wrote. Cancer is a battle of one’s life! Jill was introduced to many holistic therapies during her treatment that reduced her anxiety and strengthened her immune system. Most of these therapies are not covered by insurance and can be pricey. Jill and her support group have created Jill’s Hope in order to assist those in need and provide hope to the fighters, survivors and their caregivers. The foundation will assist financially with various therapies that include (but are not limited to): Pilates that is specialized for breast cancer patients, reiki, reflexology, massage, acupuncture, wellness coaching, benefits of essential oils, nutrition classes, and meditation. There is medical evidence to support that these therapies have shown benefits with those battling cancer. Jill’s personal experience supports these findings and she wants to give others the opportunity to be their best selves during and after a very trying circumstance. Every cancer patients journey is unique and we all handle stressors in our life differently, but if we can help a few or lots of fews than we will have impacted a life or lives. Providing cheerful gift baskets to those undergoing chemo treatment. The buckets are intended to lift spirits, help individuals feel connected and loved by others and provide gifts and necessities helpful for chemo treatment. They include items such as; lotion, dry mouth products, scarves, fuzzy socks, journals, books, gum, adult coloring books, inspirational cards, thank you notes, etc. The buckets are made with love and filled with hope. We want everyone cancer fighter to know that they are not alone. We host a Mat Pilates class weekly at our location in Rise and Shine Pilates. This class is for any one going through treatment, one year post and for their caregivers. Did you know that social connections are a huge benefit to beating cancer? You want to have as many tools in your toolbox and connecting with others is a BIG one!! So, each month we host a gathering for all fighters,/survivors and their caregivers. The group will cover various education topics each month. Additionally, there will be a segment for discussion, sharing and support breaking up the fighters/survivors and caregivers. We know that it is hard to share your journey, but research shows that those who have support are more likely to beat their cancer!! A Monthly hands on therapy using art, music or other creative means to help you get out of your head and into your life. It’s so easy to get wrapped up in all the details of your treatment. This is a liberating opportunity to free your mind and be YOU!! Whether it is someone newly diagnosed, someone who had been fighting for years or someone who has reached remission, we will sit down as a listening ear. In coaching, we don’t try to fix anything. We just hold space and the truth that you are whole, dearly loved and supported. We allow you to talk about your triumphs and your fears without judgement. We allow you to be yourself and help you know that you are not alone through this fight. We also assess for needs like nutrition information, stress management strategies, self-esteem strategies, appropriate physical activity as well as holistic therapies and spiritual support. Through the portal of coaching we direct our members to other services including massage therapy, oncology facials, nutrition support, spiritual support and more.